Pottery and fountains can bring an interesting dynamic to any landscape. Whether you are looking for a way to brighten up a dark corner or desire to have the tranquil sound of running water on your patio, Brackman’s Stepping Stone can help you find exactly what you are looking for. Brackman’s Stepping Stone carries a large variety of fire-glazed pottery. We specialize in large, outdoor pottery that can be used as landscape features, water features or container gardening. Our pottery selection includes not only large pottery, but also umbrella planters, statuary, figurine planters, self-watering pots and accessories, garden decor, wall planters, strawberry pots and aquatic planters. 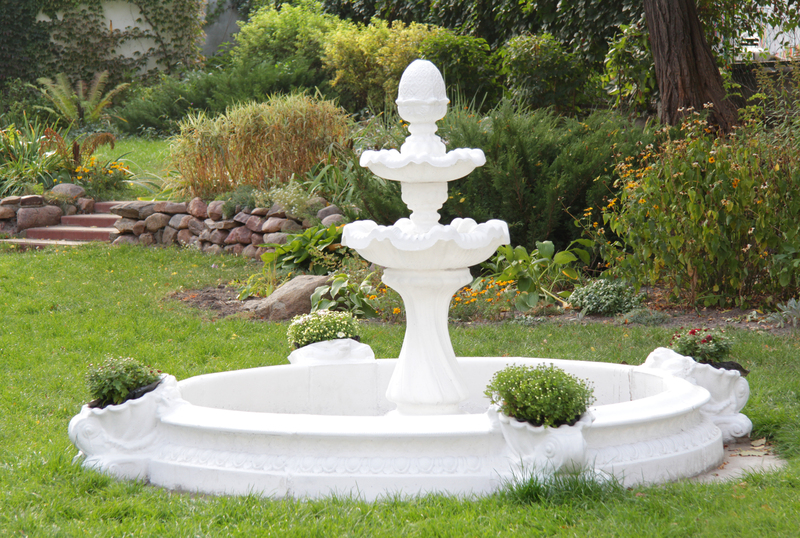 We carry the Henri Studio line of cast stone fountains and statuary. Henri Studio is the world leader in original handcrafted cast stone products. Each piece of Henri product is hand crafted in Chicago, IL and made to order. Customers can customize their order to size, dimensions and stain. Each Henri piece comes with five year warranty. Our staff can assist you in picking out the perfect piece to accent your landscape.